Store the Door self-storage is located on the Door County Peninsula in the Town of Carlsville directly off State Highway 42. The convenient location provides quick and reliable access to your self-storage unit. 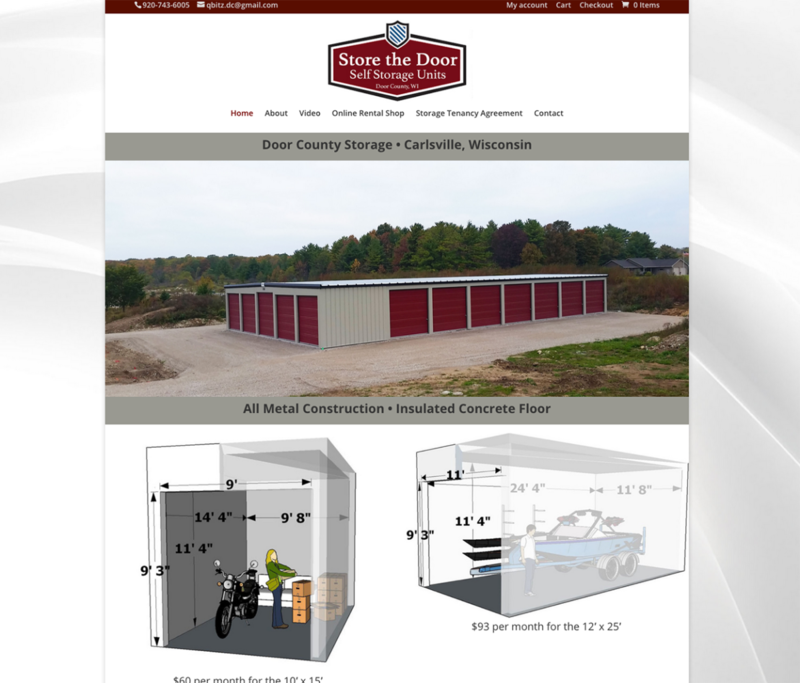 Store the Door self-storage was created to aid with the storage needs of LAKESHORES landscape & design inc and provide a northern Door County solution to the limited storage options available here in Door County. Store the Door self-storage units are all metal construction with extra wide bays, eleven (11) foot high ceilings, nine-foot six inch (9’-6”) high roll up doors, a six and one-half inch (6.5”) thick insulated concrete floor, and an insulated ceiling. The choice to go all metal was one of quality, longevity, reduction in moisture and an overall cleaner environment to store your belongings. Wood units deteriorate over time, often, taking on the not so pleasant smells that get trapped in the chipboard walls. Moisture and mold will affect your belongings so why not reduce that risk with Store the Door self-storage all metal units. Store the Door self-storage units are available in two standard sizes; the 10’ x 15’ self-storage unit and the 12’ x 25’ self-storage unit. Store the Door has the ability to adjust these larger self-storage units to even longer options; so, if you need an extra five feet or fifty feet, Store the Door self-storage units are flexible to meet your needs. Store the Door self-storage units are an economical way to store your vacation toys, boats, cars and campers; saving you time and travel. Time that is better spent enjoying Door County.